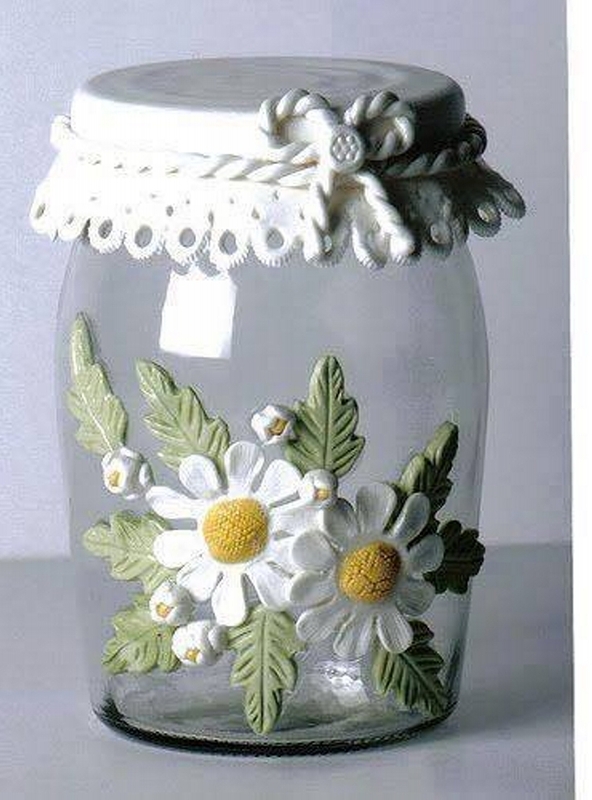 A mason jar is basically a molded glass jar used in home canning to preserve food. 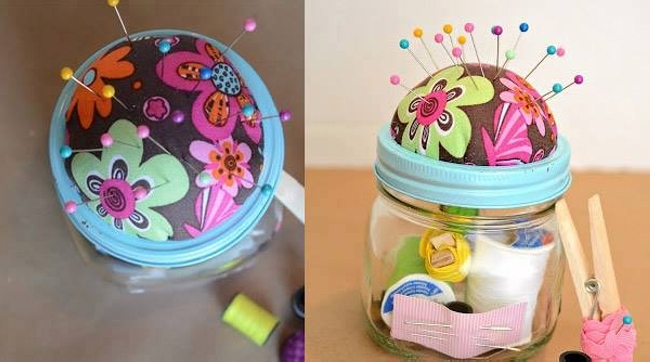 The mouth of the jar contains some screw threads on its outer perimeter to accept a metal ring when screwed down. These jars certainly vary in size and shape. They are also pretty cheap cost wise. 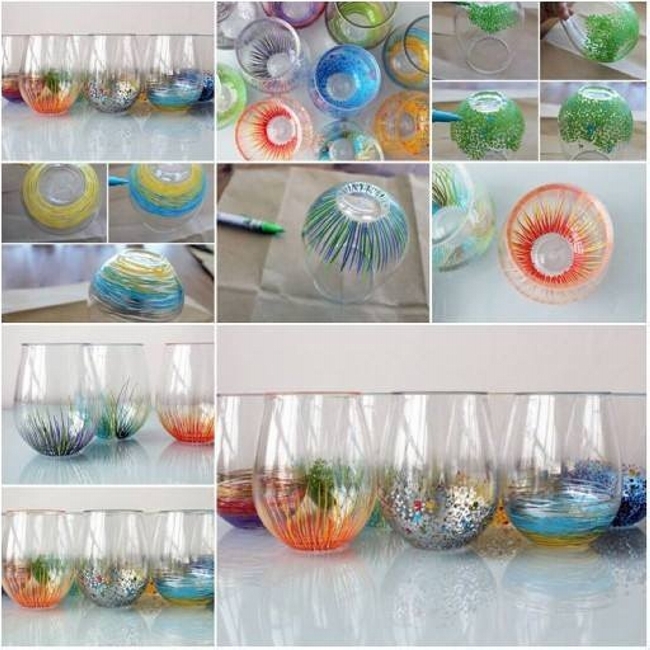 So how would it sound if we plan to work on some mason jar art ideas as they already hold such a stylish and fascinating shape. 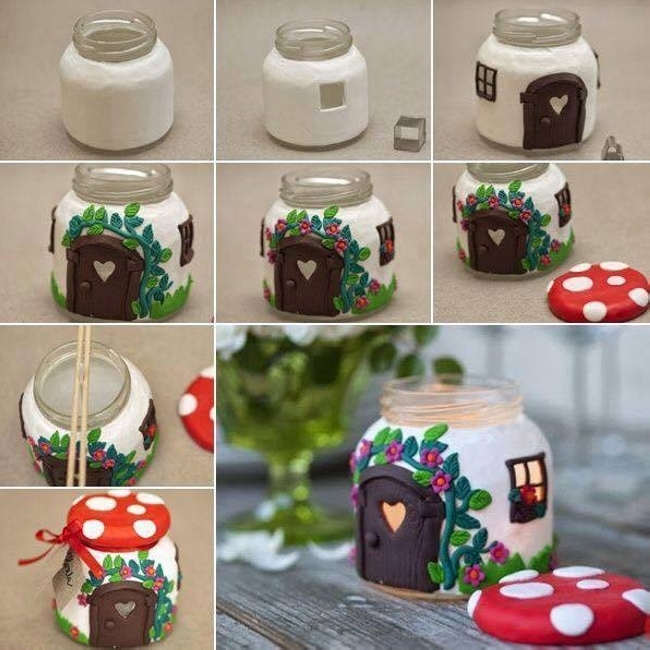 Here in the very first jar art idea very fine glass painting is done on the mason jar and its mouth is covered with a stylish cover having a ribbon. Now coming towards the next idea of the day, three different sized mason jars are once again painted in different colors red blue and yellow. 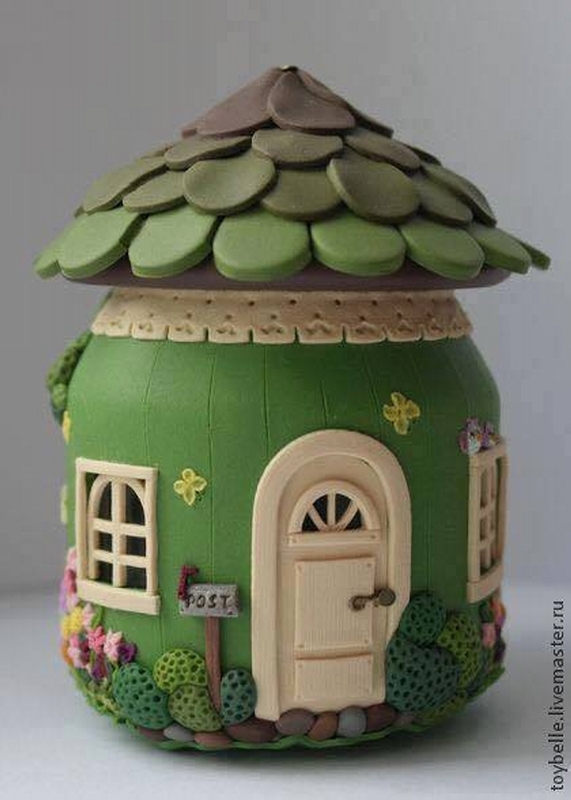 Then they are covered with designed unique topping cut and made out of cardboard plus glass paint. 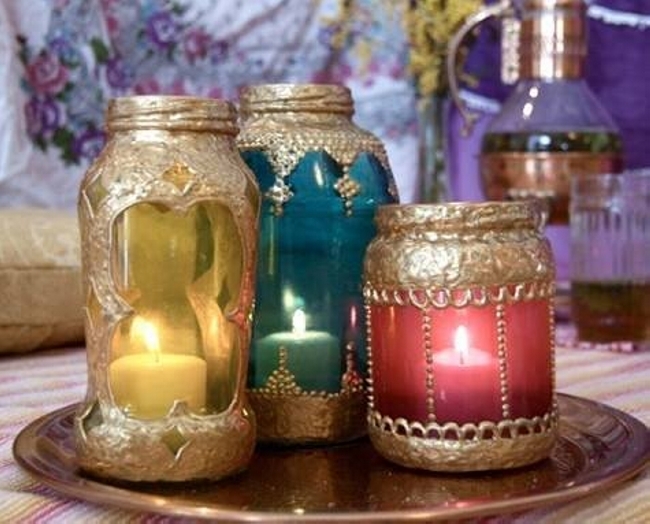 And then they are filled with tiny candles to turn them as mega candle containers. They are looking so damn pretty intoxicating. You can use them while having a candle light dinner and place them right in the middle of the table. Or use them in your washroom while having a bath or sauna steam. Beautiful lighting ideas enhance the beauty of our home interior. We spend hundreds of dollars on these decorative lights. 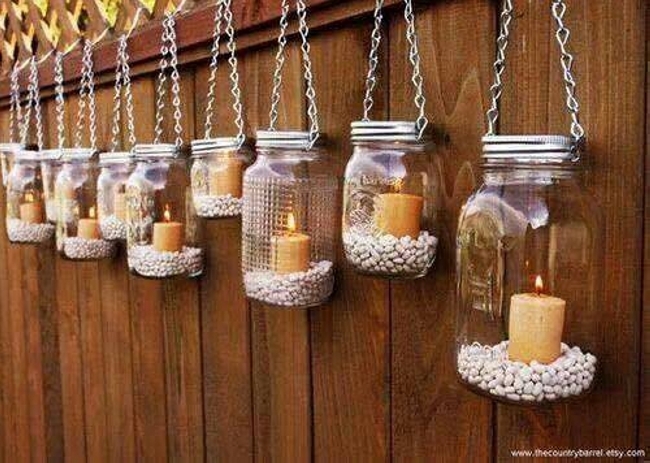 But here in this mason jar art idea we are going to turn these very mason jars into decorative hanging lights. 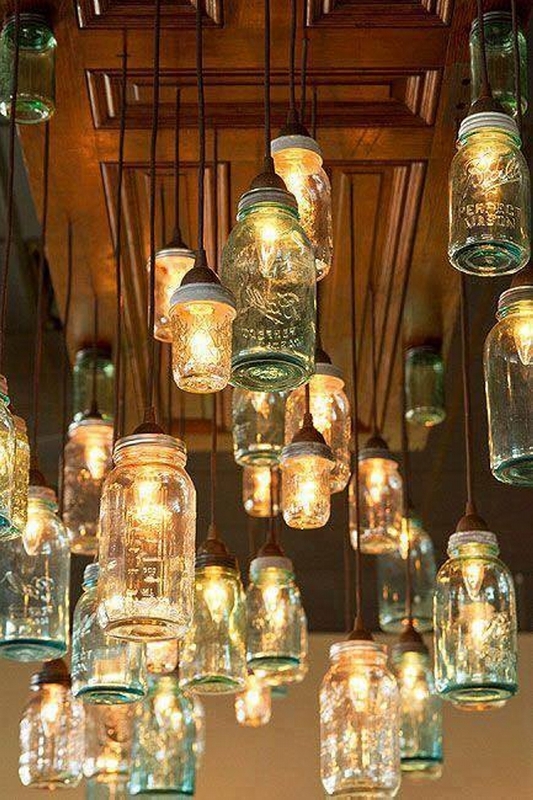 The very mason jars are hanged connecting to metallic loops fixed on the roof. They are left unstained so that maximum light reflects. And there are Edison bulbs inside them connected with the long metallic loops. This industrial look is going to change the atmosphere of the room completely. 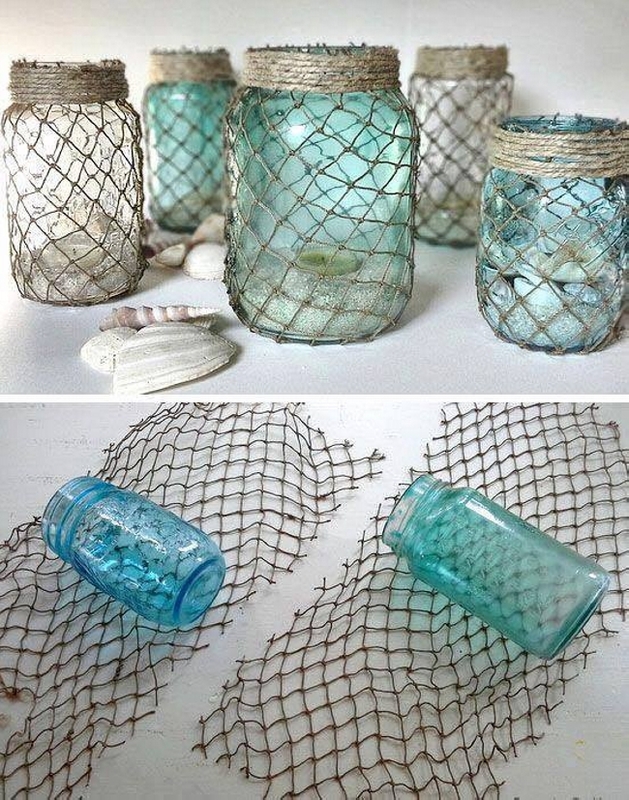 All of these mason jar art ideas are pretty handy and practical.